A little known fact, even to most vegans, is that in over 50 percent of homes in the UK, millions of consumers are unwittingly powering their homes with electricity made with animal waste – even body parts from the meat and dairy industry. The practice is labelled “recycling” – and is in fact the use of animal parts to create gas or electric power. Ecotricity the “renewable energy pioneers” are the first in the UK to introduce an ethical counterpart – vegan electricity. 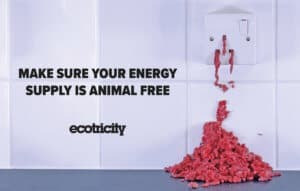 Ecotricity are unique in the fact that their policy is based on a refusal to purchase electricity or gas from animal related sources, and they are the first energy supplier to be registered with the Vegan Society. We spoke with Ecotricity regarding their new service, and about concept of vegan electricity. Eighty percent of Britain’s carbon emissions come from energy, transport and food – so it’s only right that we focus on areas where people can reduce their own emissions. The meat industry has a tremendous impact on the environment. A recent report said that not eating meat would have a bigger impact on climate change than banning driving. 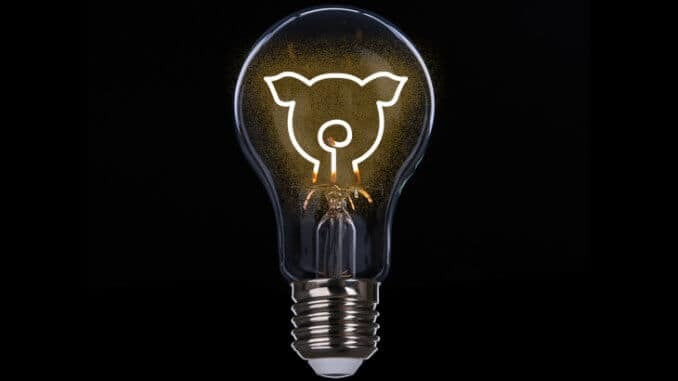 We’re the only supplier to register our electricity with The Vegan Society, which means we’re the only supplier to officially supply vegan electricity. 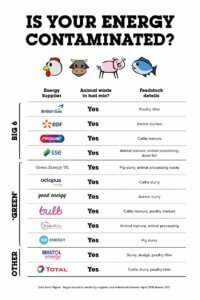 Animal by-products are prevalent in the industry – and there are 12 energy companies who supply energy with animal by-products in the supply chain. They include some of the Big Six energy suppliers, as well as so-called green suppliers – and between them they supply nearly 60 percent of homes in Britain. There are other suppliers out there who don’t have animals in their supply chain, but that will likely be accident rather than design. Suppliers should have to label their energy – so people know whether they have animal-free energy or not. There are plenty of people in Britain who might not care about this issue, but there are plenty that will be shocked to find out that there are animal by-products are in their energy – vegans, veggies, ethical consumers, people that just find it absurd to use animals in this way. How much difference can an individual or family make, when switching supplies? As consumers we all have the power to make a difference and shape the world we want to live in. At Ecotricity, we operate a unique model – we use our customers’ energy bills to fund the building of new sources of green energy. We like to refer to this as turning ‘bills into mills’ – energy bills into windmills. We’re a not-for-dividend company – our profits go back into our mission. With no shareholders to answer to, we’re free to dedicate ourselves to the task of building new sources of green energy. What is your company vision for the future? Everything we do is in pursuit of our vision for a Green Britain – a place in which we all live more sustainable lives and where ethical business is the norm, pursuing outcomes other than profit. And we do it all with the support of our customers. Can you tell us a little about the football club? We run a vegan football club called Forest Green Rovers, which was was recently recognised by the UN after going carbon neutral. FGR is the world’s only vegan football club after making the switch to a plan- based diet for all players, fans, staff and events two years ago.